At the main page you can add new users by selected Admin->Add User from the menu. 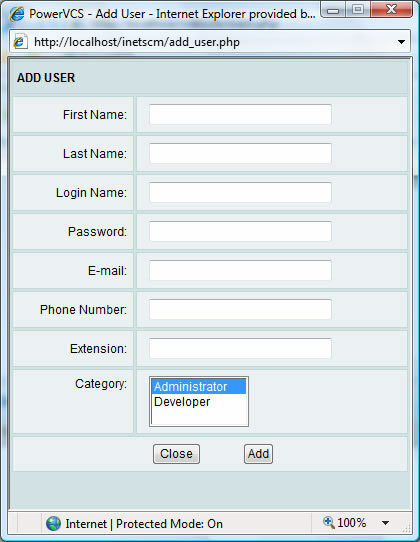 You can also edit an existing account, to change the default user’s user name and password, for example. You can add as many users as you like, but you must have a PowerVCS subscription for each before they can log in to PowerVCS.